The more I learn, know and understand about the local church – the more I think I don’t know. Have you ever experienced that For a church expert I can feel pretty inadequate at times, but my love and passion for the church keep me in the game…seeking, learning, and growing. Let me share what I’m learning right now. Our best wisdom and natural power pales compared to God’s wisdom and supernatural power. Don’t get me wrong — I love church stuff and always will. I love church models, ministry models, ministry strategies, leadership development, evangelism processes, and the list goes on. My life is dedicated to the improvement of these kinds of things. But a big something seems to be missing as I contact churches — prayer. We (me too) seem to spend so much time on the run and so little on our knees. Is the answer to abandon the strategies and become monks in the desert Of course not, but something tells me that God would open the gates of Heaven in a big way if the local churches really tapped into prayer. My visit to Seoul Korea in 1991 was life changing – well at least life impacting (I’m apparently a slow changer). I was overwhelmed with an all-night prayer service in which 25,000 people in beautiful harmony and dignified order prayed for their church and the world. It is no accident that Paul Yongi Cho’s church is the largest church in the world. Numbers aren’t the issue; why it’s large, healthy, and growing, is the issue. There are many factors that contribute to church health and growth, but the more I see, the more I’m convinced that prayer is the key. The reason for this is simple-prayer lets God in on the process! And the process begins with you. 1. Get your personal prayer life in order first. Prayer isn’t easy and it doesn’t come naturally to anyone. It’s work. Prayer is a joyous privilege; but it’s a challenge. The concerns of the world distract us from prayer. The irony is that prayer is what helps us overcome the concerns of the world. Commit yourself to sincere and earnest prayer and God will open the doors of heaven to you. This doesn’t mean perfection – progress is the key. B. Lack of consistency. This is by far the most common of the hurdles. C. A lack of consistency often stems from a lack of understanding of our relationship with Christ and the actual role of prayer. D. God is not a cosmic slot machine. E. Prayer is not like a daily vitamin. F. More or less prayer doesn’t make you more or less saved and loved by God. G. Prayer is a relationship of regular and continual communication. Understanding your relationship with Christ moves you to prayer. I. God, the Judge in the courtroom, pronounces us not guilty because of Jesus. I love my kids no matter what they do. K. God’s heart is grace-oriented. Remember the story of the prodigal son He left home, wasted his money, lived with bad character, yet his father still took him back with open arms. School tests focus on how many answers are wrong! When a math test is returned it says -2 or 2 wrong. I believe it should be +18 or 18 right! We all lack faith. It’s the simple truth. If you and I really believed that Jesus could move mountains, heal the sick, and raise the dead, wouldn’t we pray for more miracles Instead – we pray for a good parking spot at the mall! To reverse this, and believe more on the promises of God than your own finite beliefs, you must stretch your faith by trusting God completely. The good news is that it’s not how much faith you have, but whom your faith is in. Jesus is the person and the power of your faith. 4. Tap into the power of prayer today. Don’t wait until you are more spiritual. Don’t wait until someone asks you to pray. If you are sporadic in your prayer life, start small and start today. Don’t worry about the length of time; the Holy Spirit will take care of that as prayer becomes a habit in your life. II. Pray intentionally and strategically for the life and ministry of your church. 1. Pray for the hearts of those who are unchurched. Pray that God would speak to the hearts of people in your community who do not attend church. Don’t hesitate to pray for specific people. 2. Pray for people to receive Christ as Savior. Pray that God would melt the hearts of those who don’t know Him as their personal Savior, that they would seek a relationship with Christ, and make a decision. Pray that your church develops a passionate heart for the lost and responds with lifestyle evangelism. By the way, prayer doesn’t override action, but it is the priority. Pray for God’s anointing power to energize your church for a truly eternal difference. 4. A spirit of love and unity. Scripture calls us to both a spirit of love and a spirit of unity. One cannot exist without the other (Ephesians 43-5). Pray that your church remains steadfast in its commitment to love one another and actively seeks a unified spirit that pleases the Lord. The point is, don’t fuss and fight-stick together! That is the only way God can accomplish His mission through you. I can just imagine God saying to Jesus Son, if they’d just stop arguing long enough, I’d tell them what I want them to do. 5. Maturing of the body of Christ. God literally calls for us to grow up from being children to becoming mature in our faith. 6. The leaders in the church. Pray for the primary leaders in your church, and don’t forget to pray for the pastor. 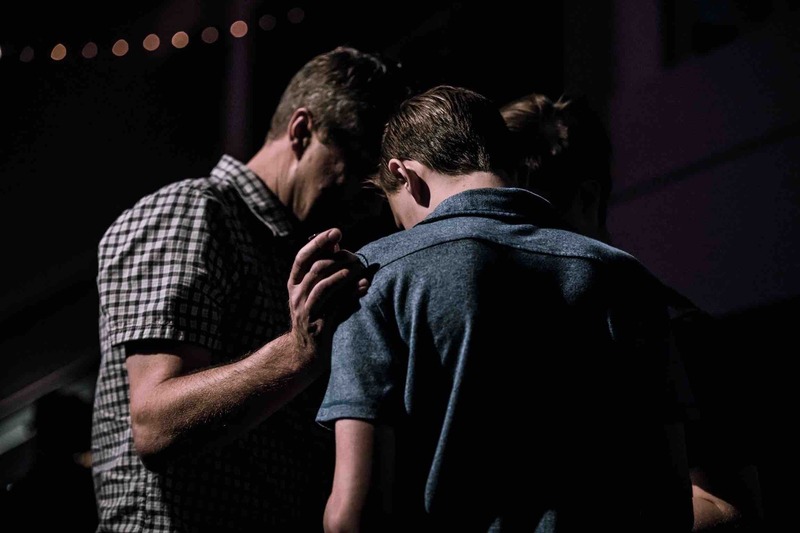 Praying for the pastor is so important, and the entire issue of the next The Pastor’s Coach is dedicated to giving you a simple plan of how to do that.